Lemon Zest just in time for summer!! How fun are these projects?? They just scream summer, and who is not ready for summer?? I will be creating these project live on Thursday at 7:00 EST on my Facebook page, Stampin’ Gala Stampers Group. If you cannot be there live, it is recorded for your convenience. I love the cute little Orange Crush Jelly Belly Treat holder. It holds miniature bottles of orange crush flavored jelly bellies. I purchased these treats at Five Below. I also created a birthday card. I love how fresh this card looks. Anyone with a spring or summer birthday would love to receive this card. Finally, the small treat holder has fruit flavored tic tac inside. I have prepared Project Sheets complete with dimensions for your convenience. Click on the link below to download. If you would like these make and takes from me for FREE, place a minimum $35 online order my midnight on Monday, April 1, 2019. Please use host code ED9AFKG6 when ordering. I originally created this card for Valentine’s Day. However, this card is perfect for many occasions. I re-created it as a birthday card, as you can see in the video below. Here are the dimensions for this card. Flirty Flamingo, 5-1/2 X 8-1/2, score at 4-1/4. Click on the products below to purchase from my online store. 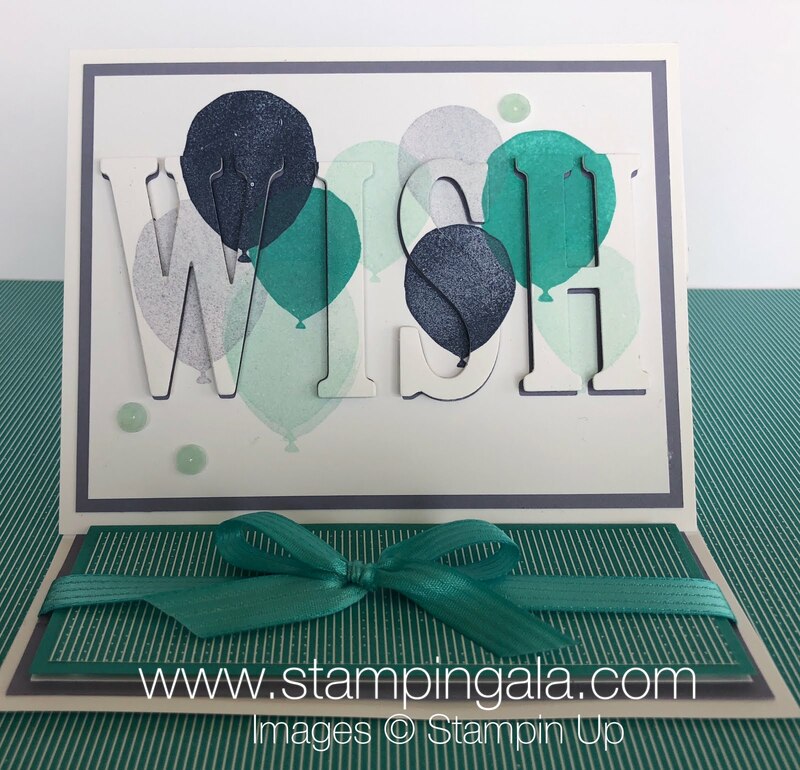 Stampin’ Up makes creating coordinating projects a “Piece of Cake”. The Piece of Cake bundle is the focus for my Facebook Live tonight. You can join the fun here. I will be creating three projects. A birthday card, a gift card holder and an adorable purse/box that I created using the Window Box Framelits Dies. First, I will be a Birthday card. I especially love the inside of the card. Next, I will create a pocket card that doubles as a gift card holder. Finally, I will show you how you can create a cute little purse out of the Window Box Framelits Dies. If you would like to receive all three make and takes from me for FREE, just place a minimum $35 online order by midnight on Monday, February 18, 2019. Please use host code NBPCAZZE when ordering. You can download the project sheets below. I will show you how to create these three projects on Thursday at 7:00 p.m. (eastern time) during my Facebook Live presentation. 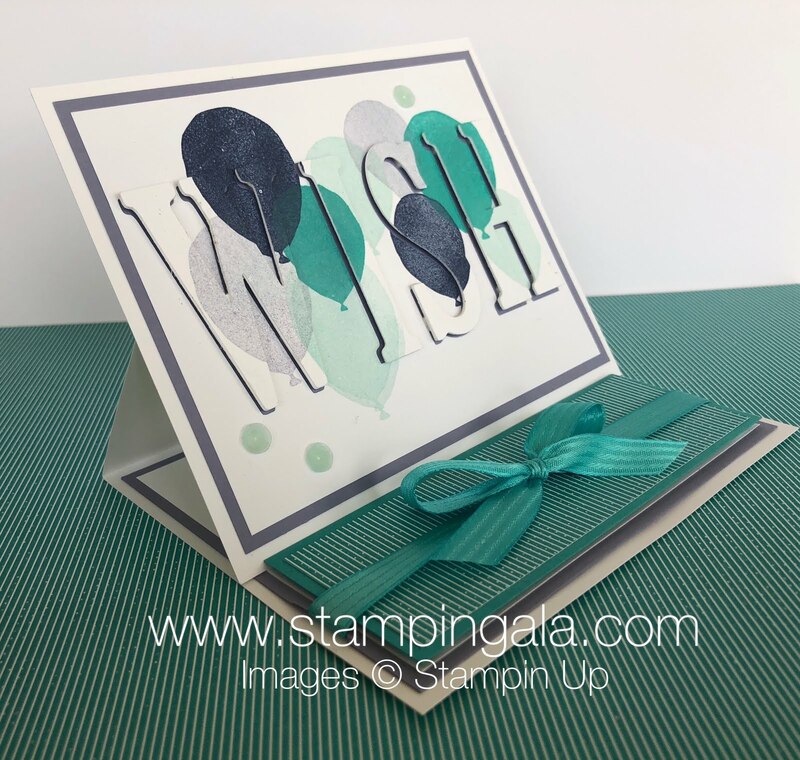 You must be a member of my Stampingala Stampers Group Page to view the presentation. If you are not a member, you can join here. Stampingala Stampers Group. Hello Cupcake is a FREE stamp set with a qualifying purchase during Stampin’ Up’s Sale-a-Bration promotion. Here is a closer look at the projects. If you would like a hard copy of the dimensions for all three projects, click on the links below. If you place a minimum $30 order by midnight, February 4, 2019, you will receive all three make and takes from me for FREE!! Please use host code YQSZGEFK when ordering. My friends that came to my Saturday Breakfast Club class were happy to find out that the card they would be making was this eclipse card. I promised my Facebook viewers that I would prepare a video tutorial for them as well. Here are the products needed to create this card. Click on the products to order online.